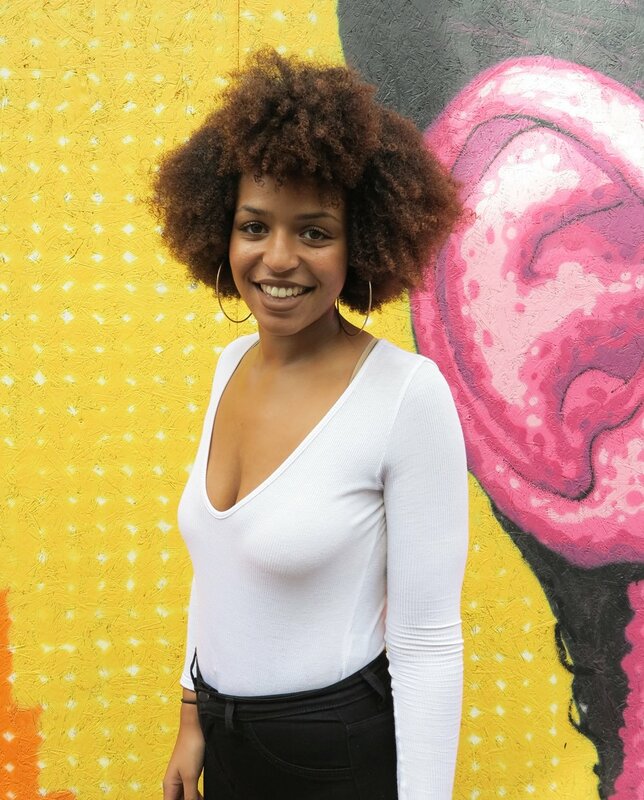 Christelle, Switzerland — the curl talk project. My mother is white and never understood how to take care of my hair. Because of that, my hair became a burden for me, simply because it was one for her. The struggle was also experienced with my Nigerian dad who really encouraged me to embrace my natural hair, my blackness, when I wasn’t ready to do so. I was constantly battling with people’s expectations and myself. I relaxed my hair for years, to the point where I became convinced that I couldn’t have curly hair under the altered hair. A friend convinced me that curls would grow if I stopped using relaxers but my answer to this was: ‘I can’t do this, I will have the ugly Jackson five hair’. It’s terrible to think that I ended up believing the idea that natural hair was nothing but ugly. Even though I was happy with my decision to transition, seeing my natural hair growing was very difficult. Being mixed-race, you but also people around you, expect your hair to look a certain way. My curls are tight; far from the looser curl pattern mixed-race girls are expected to have. This led me to look for some ways to get closer to that ideal. Today, I am happy to say that I don’t care about these things anymore; I love my hair and couldn’t imagine myself without it. Hair is more than just hair, it’s part of you and it’s a clear indication of your heritage and culture. If you don’t accept it, you don’t accept these parts of you.